The earliest Native Americans inhabiting what is now Smith County, were Caddo or Tejas Indians, for whom the Spanish named the present Texas. The forced removal of the Indians from East Texas in 1839 opened the area for Anglo settlement. At first, some settlers took over salt works left by the Indians. Later, settlers began clearing farms. Smith County was one of several new counties formed by the new Texas State Legislature in 1846, and was named for General James Smith, who fought for Texas' independence and served during the Indian Wars. The county grew rapidly throughout the decade before the Civil War, with agriculture remaining dominant in throughout the 19th century. The Civil War brought a flurry of activity with 1,500+ Smith County men serving in the Confederacy or for the State of Texas. With the Civil War's end, survivors came home as Union occupation forces arrived to reestablish Federal control. The railroads came in the 1870s, and the county began another period of rapid agricultural growth that lasted until the turn of the century. There was also no Great Depression in Smith County during the 1930s because of the discovery of the great East Texas Oil Field. The East Texas Lake Palestine area has consistently mild weather. We have 4 distinct seasons with an average of 245 days of sunny weather. That, plus an abundance of lakes, states parks and national forests contributes to a superior quality of life! Average annual temperatures in January range from 38 to 57 degrees, while the average temperature range in July is 73 to 94 degrees. The annual average precipitation rate is 45.2 inches. The East Texas area puts a high priority on educational opportunities for all ages. Several colleges are located approximately 30 miles away including the University of Texas at Tyler, Tyler Junior College, Texas College and Lon Morris College. Tyler serves as the regional health care center for East Texas and has excellent medical and health care facilities. Festivals and events in and around the area include the Azalea Spring and Flower Trail, the Catttle Baron's Gala, the East Texas State Fair, Festival on the Square in Tyler, the Texas Blues Festival, Texas Rose Festival and others. 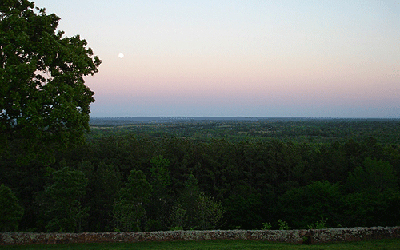 Regional museums, historic and cultural sites include Brookshire's World of Wildlife Museum, the Carnegie History Center, the Goodman Museum, Harrold's Model Train Museum, Historic Aviation Memorial Museum, the Smith County Historical Society Museum, Tyler Museum of Art, the Tyler Rose Garden and Museum, the McClendon House, Camp Ford, the Cottonbelt Train Depot and more. With plenty of trees, rolling hills and a total of 27 lakes, East Texas is unlike what many visitors expect it to be. 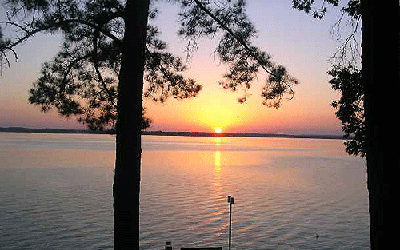 East Texas lakes offer plenty of boating, swimming, fishing and water-skiing opportunities. The most utilized of these 27 waterways is Lake Palestine, a haven for boating and fishing located on the Neches River. Beautiful Lake Palestine is 18 miles long, averages 2 miles in width, features 140 miles of shoreline and has an average depth between 20-50 feet. Lake Palestine is a manmade lake (the flood plain was completed in 1972) regulated by the Upper Neches River Authority. It covers over 28,000 acres. Lake Tyler and Lake Tyler are twin municipal lakes that cover about 4,800 acres and offer facilities for boating, fishing, swimming and camping. Tyler State Park is situated in the piney woods, and offers a 994-acre spring-fed lake that is annually stocked with trout. Tyler also has been recognized as the number one golf city in Texas by Golf Digest magazine. There are over 17 courses (both public and private), and several are located either on Lake Palestine or within 30 miles of it.